If you were being framed for murder, how far would you go to clear your name? The debut psychological thriller that reads as Apple Tree Yard meets Behind Closed Doors, by way of Double Jeopardy. An incredibly taut, tense game of cat and mouse - with a twist you'll never see coming. 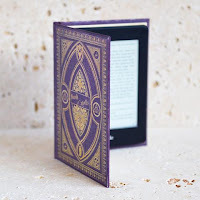 Elle Croft has certainly come up with an amazing original idea for a novel: when Bethany's lover is murdered, she can't grieve or reveal her whereabouts on the night he was killed because then her husband would know she was having an affair. It's proper nail-biting stuff as Bethany spins a web of lies that see her digging deeper and deeper into a hole that she won't be able to get out of. I was already hooked at the start but then Elle Croft took it up a notch to ensure that my eyes would remain glued to each page. Somebody knows about Bethany's affair with her client, billionaire Calum Bradley, and they manage to spook Bethany by getting into her house undetected and leaving threatening notes. As evidence starts to appear that makes Bethany appear guilty of murder, she is warned by her stalker to say nothing to the police. Bethany has nobody to turn to but her friend, Alex, who is a lawyer. I breathed a sigh of relief, sure that Alex would sort it all out. Then Bethany is arrested...and the truth comes out at last. What a superb debut from Elle Croft. 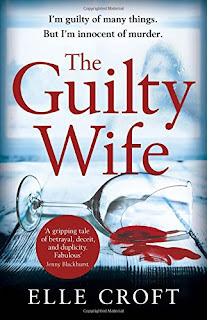 The Guilty Wife was glued to my hand until I finished this nail-biting, twisty and suspenseful psychological thriller. I'll definitely be keeping an eye out for Elle Croft's next book.